Hallmark Hotel Llyndir Hall is an elegant 19th century villa offering newly refurbished bedrooms and a relaxing Health Club & Spa. It is set in five acres of grounds in the Welsh borders, just 12 km from historic Chester. 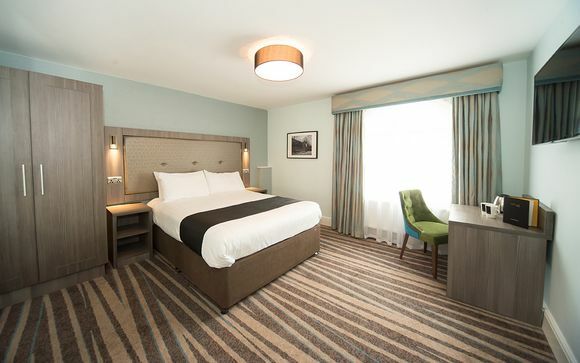 Our members can enjoy a Half Board stay in an Executive Room with Early check in from 1pm and a complimentary bottle of Prosecco in the room on arrival. 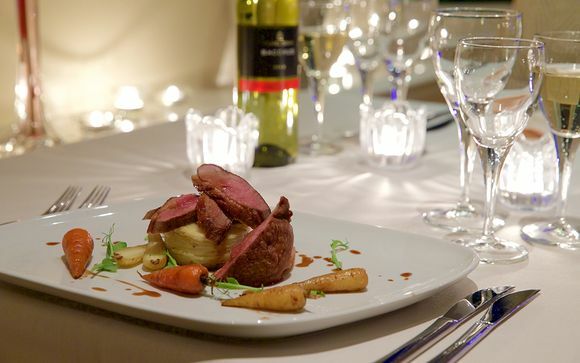 Hallmark Hotel Llyndir Hall lies in the undulating North Welsh borders, just 12 km from the Roman city of Chester with its fabulous shopping and nightlife. You can still walk the ancient city walls (the most complete in the country) to catch a glimpse of the largest Roman amphitheatre in Britain and admire the architectural beauty of Chester Cathedral. 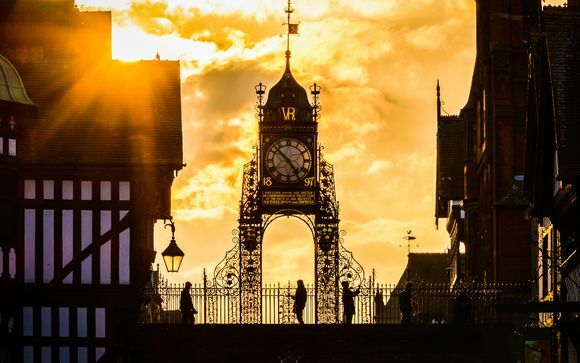 This historic city is renowned for its striking black and white half timbered buildings which include the medieval ‘Rows’, the two-tier shopping galleries unique to Chester. Chester offers a lively nightlife with a wide choice of restaurants, bars and live music venues. Additional attractions near to your hotel include the beautiful gardens of Tatton, Ness and Bodnant, a number of outstanding stately homes, historic medieval castles and the epic mountains of North Wales. 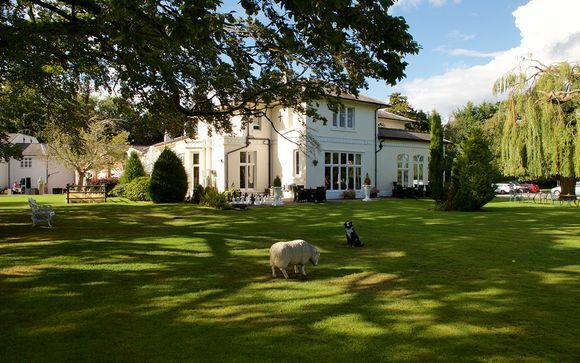 Hallmark Hotel Llyndir Hall is a grand 19th century villa surrounded by five acres of landscaped gardens, with a majestic 200-year-old Beech tree taking centre stage. The hotel has a really welcoming, familial feel thanks to its small number of rooms and friendly, personal service. There are plenty of great facilities too including a health club with a swimming pool and spa, a restaurant serving seasonal British fare, a majestic ballroom and a beautiful Italian terrace for the warmer months. Just for you: Early check in from 1pm and a complimentary bottle of Prosecco in the room on arrival. Stays of 2 & 3 nights can also enjoy late check out. These spacious, newly refurbished rooms offer relaxing rural views with supremely comfortable beds, crisp linen and plump pillows, along with modern amenities such as free WiFi, a flat screen TV and complimentary toiletries. Start your day with the classic Hallmark breakfast buffet including cooked and continental dishes. The hotel restaurant serves modern British cuisine for lunch and dinner, from local fish and chips to hearty steaks and enticing desserts. For a lighter bite, head to the relaxed bar for snacks, sandwiches or a decadent Afternoon Tea. All hotel guests have free access to the hotel's health club facilities. Guests can relax at the hotel's modern Health Club after a day out exploring. 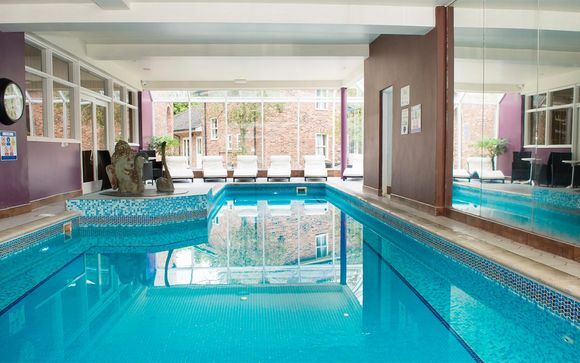 Facilities include a 12 metre indoor swimming pool, sauna, gym and Secret Sanctuary Spa where you can enjoy exclusive Pinks Boutique organic therapies. *Please note: fitness classes and spa treatments will incur an extra charge. For hotel guests, there's plenty of free parking available.